Congratulations to Carrie and Jake on their black-tie wedding in Billings Montana! Carrie did a wonderful job planning the big day and it went off without a hitch, bringing together two awesome families in a celebration of love and the start of a new family. 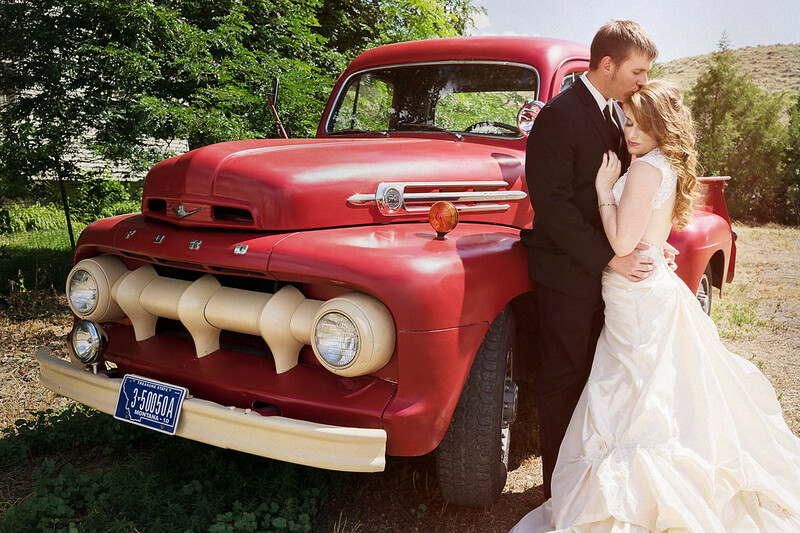 I love the contrast in this image between the rustic scene on Jake's family farm and their black tie look. I am blessed that they shared this most special of occasions with me and the team at Paul Bellinger Photography. Thank you Carrie, Jake and all of the family and friends that helped make the day so special! Thank you also to my team of incredible photographers Jenna Masters, Trevan Hiersche for your hard work. For Montana wedding photographer Paul Bellinger please visit www.paulbellinger.com.